Free Shipping on "Complete Old Man Emu Kits"
Old Man Emu suspension components are perfect for those who want ride quality over 'show' quality. You may find taller or more heavily advertised suspension lifts on the market, but you will never find anything that ride more comfortably, has greater load capacity, or is more durable than Old Man Emu. If you truly are looking for the 'best' suspension and not just the most popular or one that temporarily sits a bit taller (most lifts sag quickly, not OME), then you have found the very best suspension on the planet for your Jeep. Click on the spring graphic for some great engineering information on the Old Man Emu springs. Among the many great benefits of the OME suspensions, the spring rate is tailored to your vehicle and taste. One spring does not fit all, and OME understands this. This is why there is a choice of springs for guys running an 8 cyl engine up front, heavy winch bar, safari rack, oversized spare tire, etc. Customize your suspension and get it right the first time! OME also builds their shocks and struts specific to your Jeep. Its not a shock designed for a full size pickup truck that cross-references to your vehicle as well. 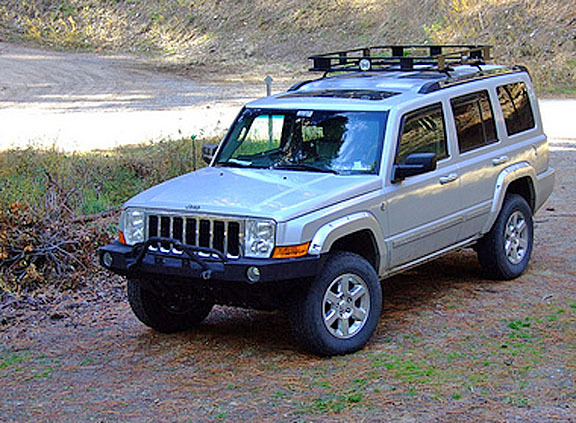 It is built for the specific weight and suspension geometry of your vehicle for a comfortable ride on and offroad. 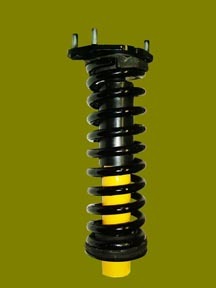 As with the springs, various rates of dampening are also available with the OME shocks. Click the shock graphics to view some great information on the engineering behind OME shocks. Jeep Commander Old Man Emu lifts are about 1.5-2" in lift height. Please note these kits sit a little nose-down, much like your factory suspension position. If you wish a more level stance, please pick up the Trim Packer kit we have listed below as an Optional Item. NOTE: Now included in all OME suspension packages from Rocky Road Outfitters... FREE LEVELING KIT included! We have a great deal more information on the actual construction of the springs and shocks. To view this excellent engineering FAQ, please click on the coil spring graphic above to go to the technical spring webpage... then click on the shock graphic to the right for some excellent engineering information on Old Man Emu shocks. Old Man Emu lifted Jeep Commander. An excellent suspension upgrade as well as a 'lift'. Rocky Road Outfitters kits come with Commander OME Lift kit installation instructions!! 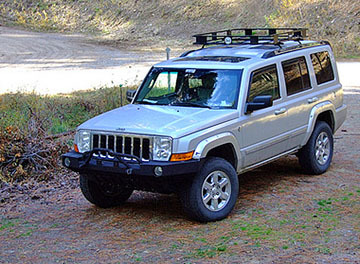 ASSEMBLED Jeep Commander lifted strut kits!!! Free Leveling Spacer Kit & Instructions with each complete suspension purchase! Rocky Road is THE ONLY company with installation instructions and leveling kits included!! 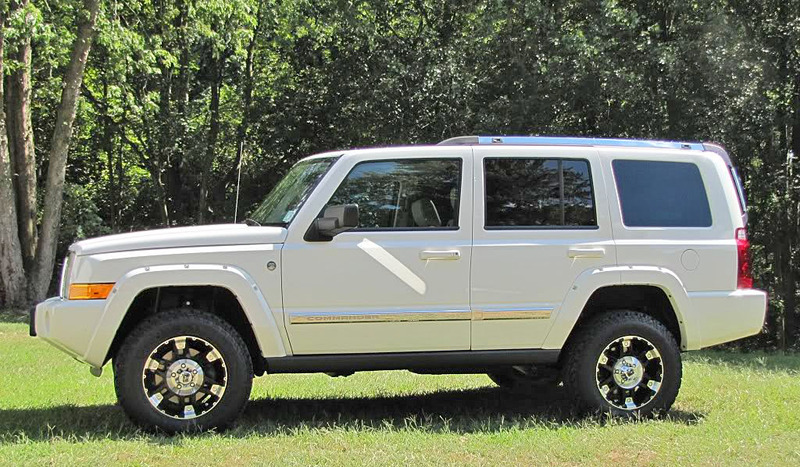 OME Jeep Commander Lift Kits, XK with installation instructions! Undisputed as the best new suspension system upgrade on the market!